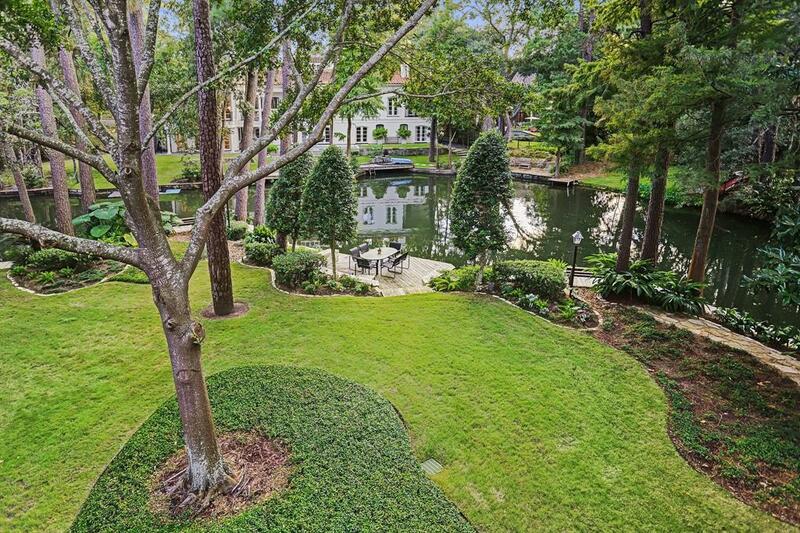 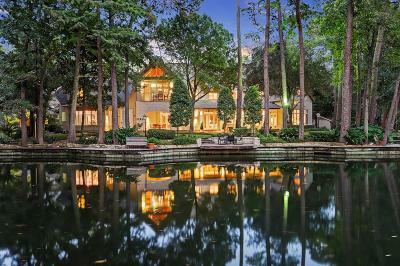 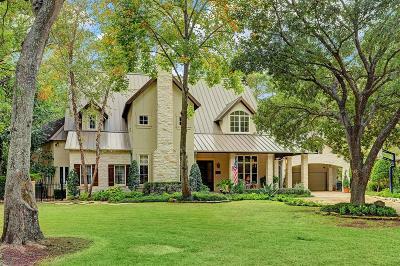 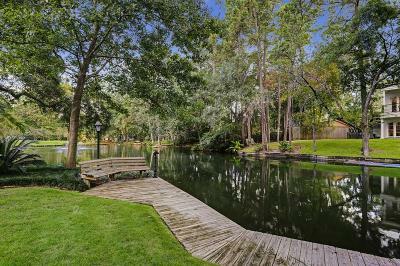 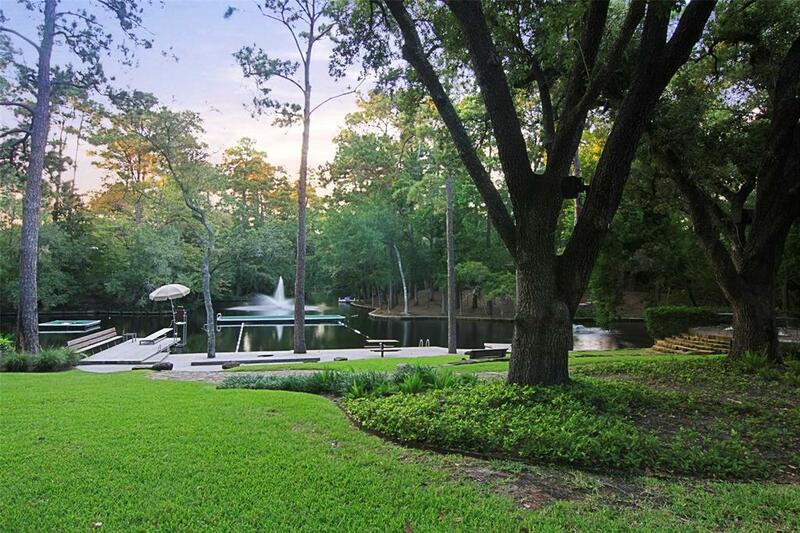 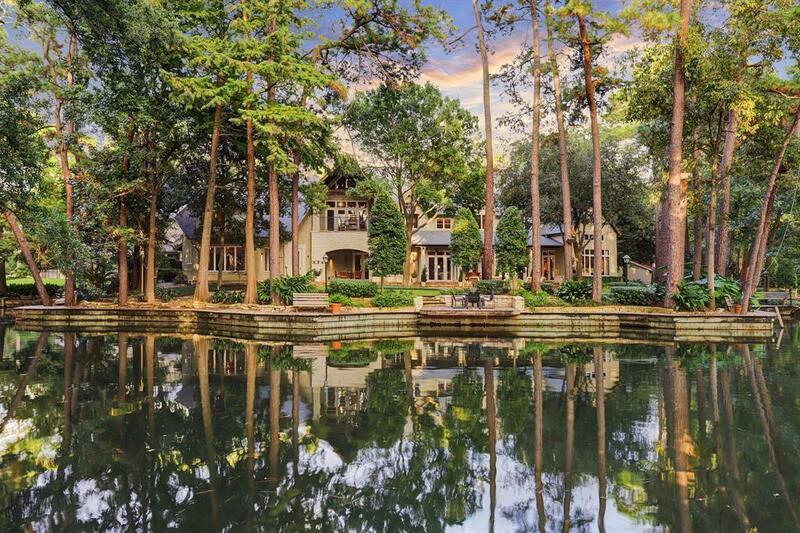 Located on a rarely available lakefront in the heart of Memorial, this custom Sandalwood residence offers lakefront vistas and swimming, fishing and boating from the private dock along the bulkhead. 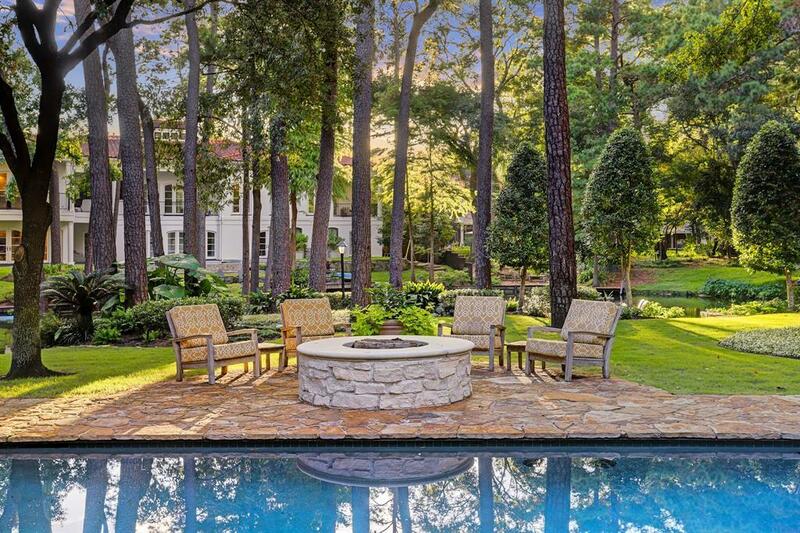 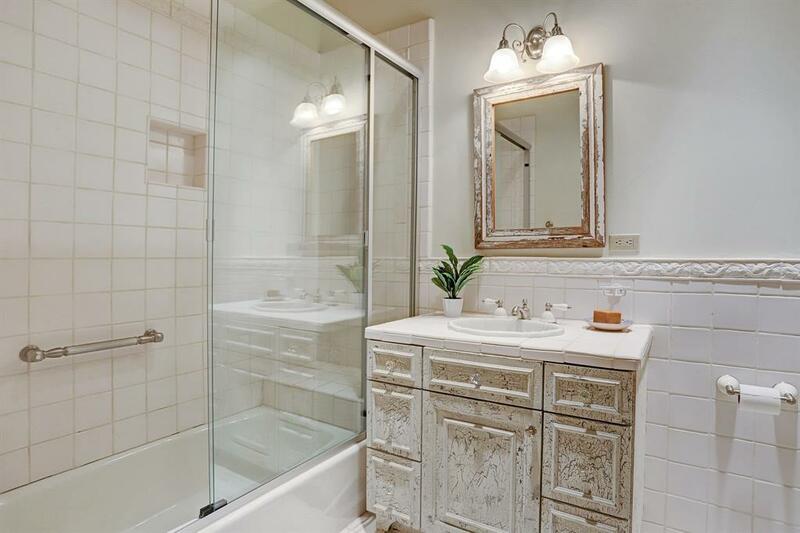 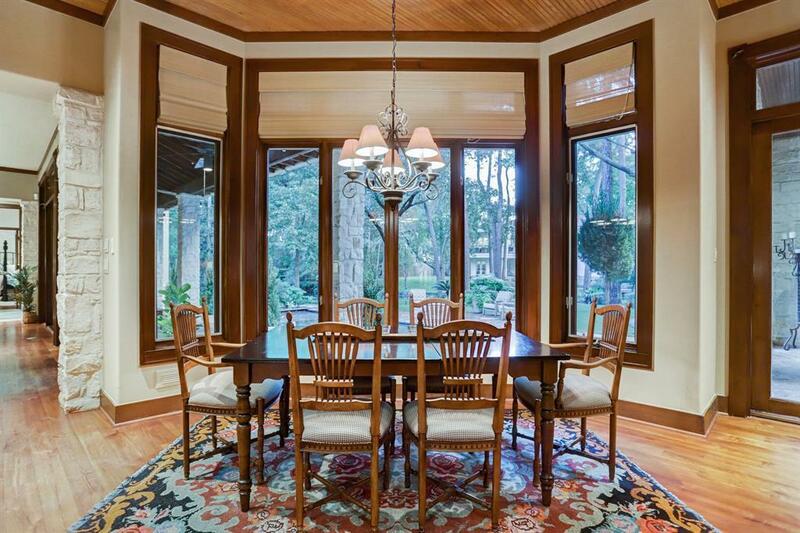 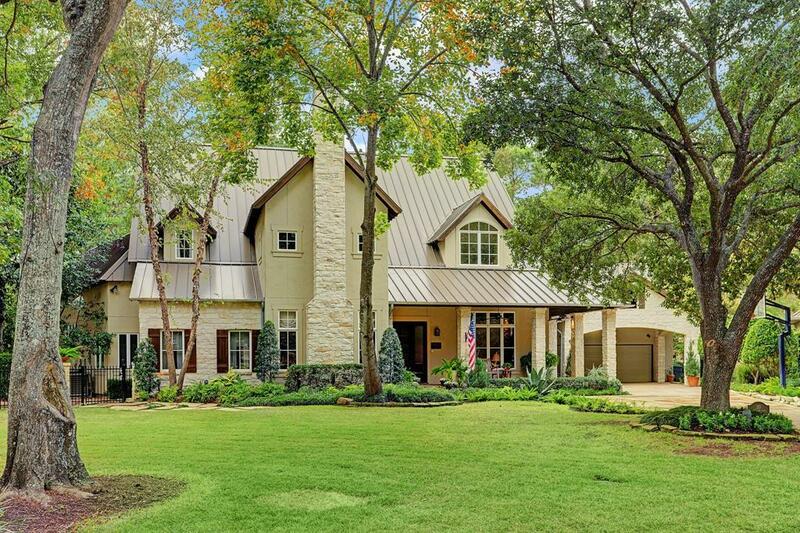 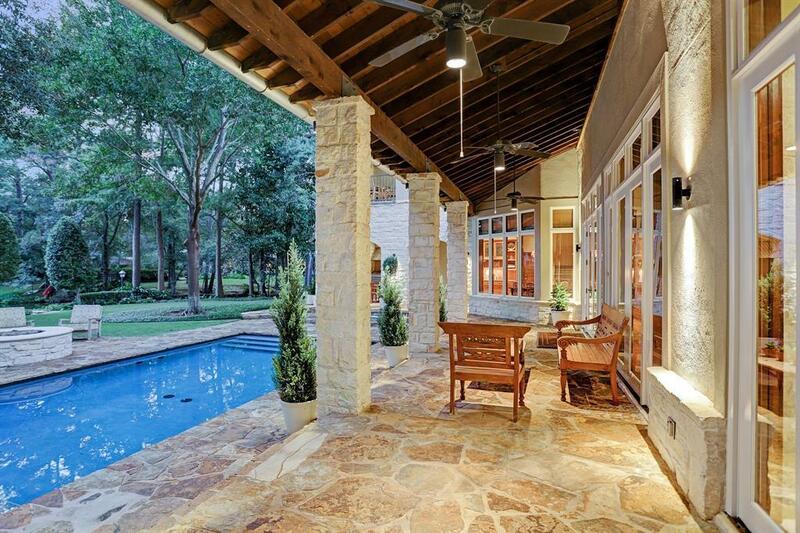 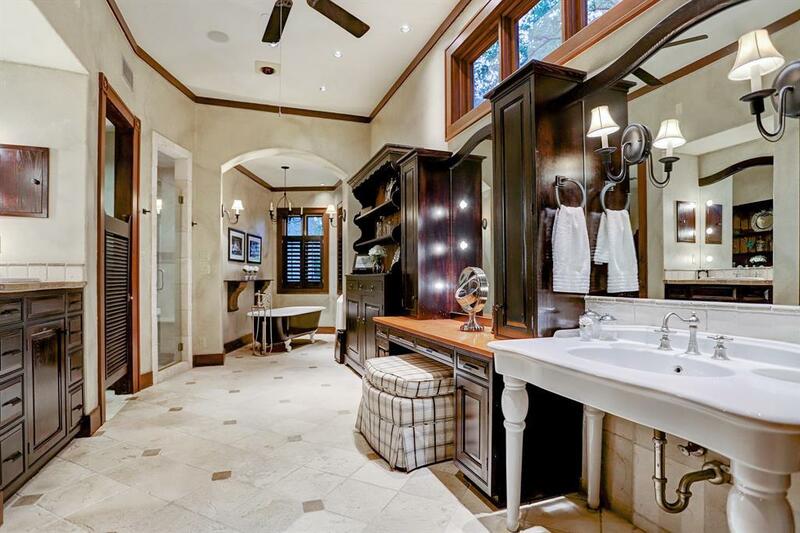 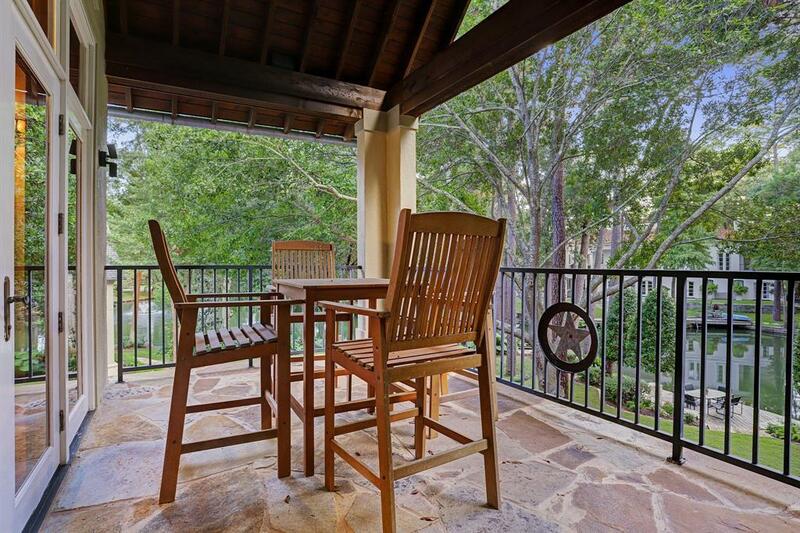 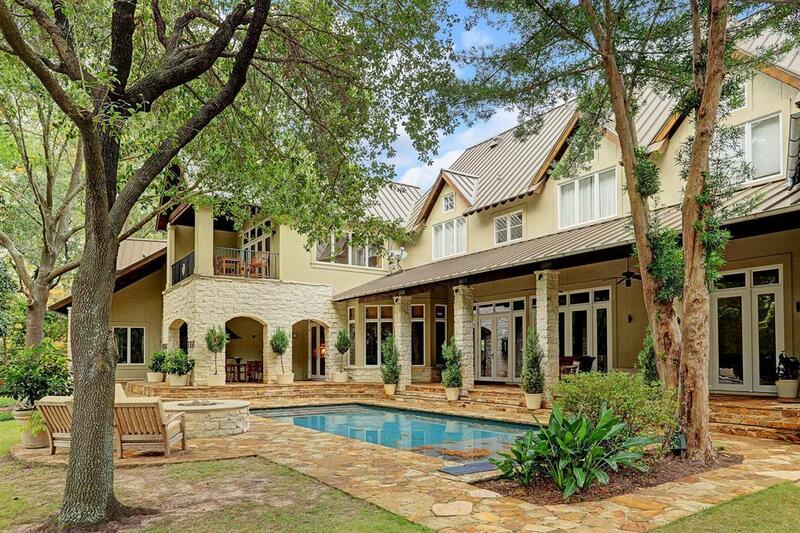 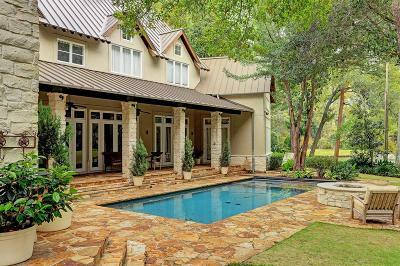 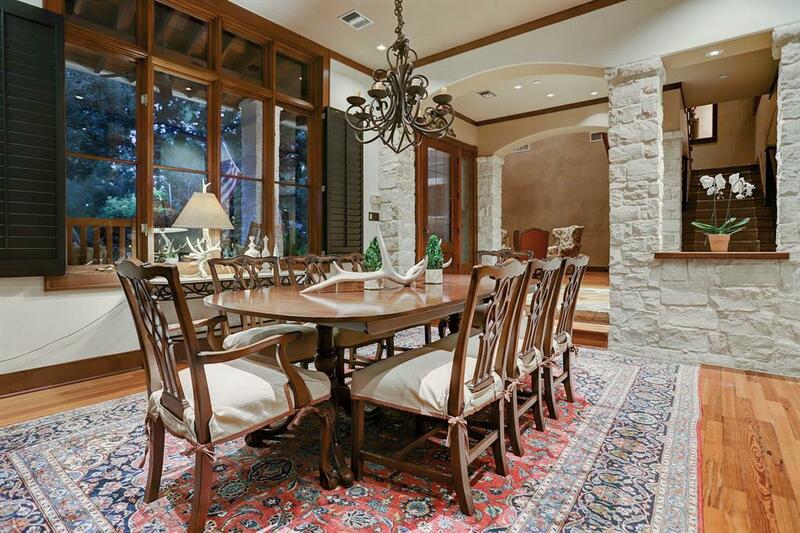 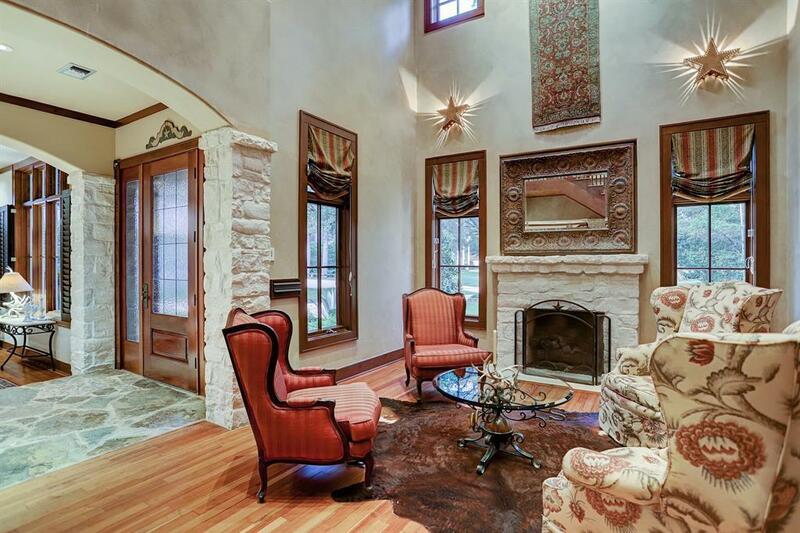 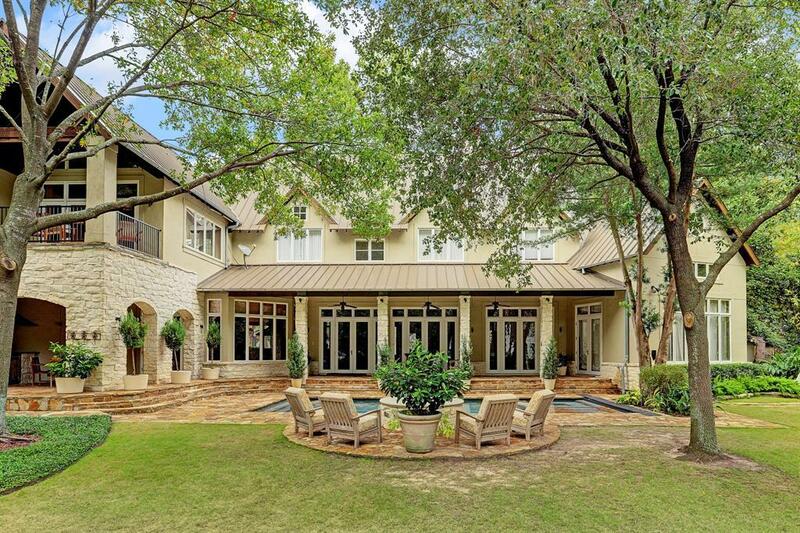 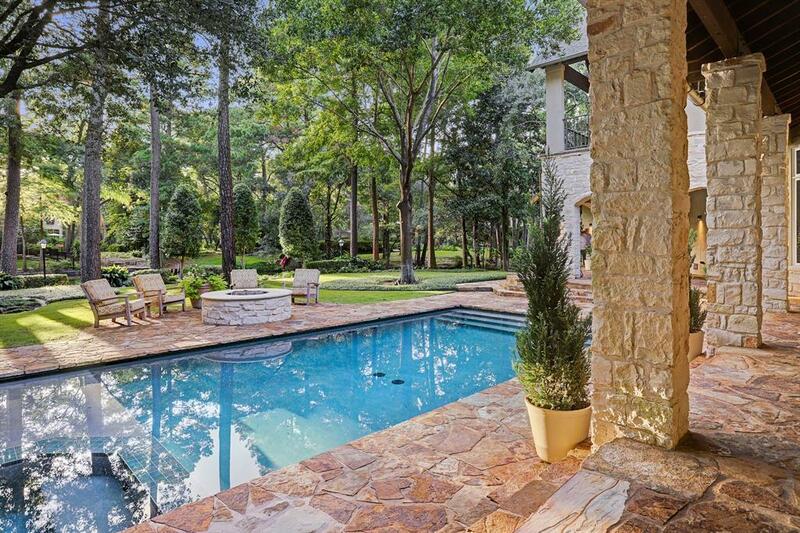 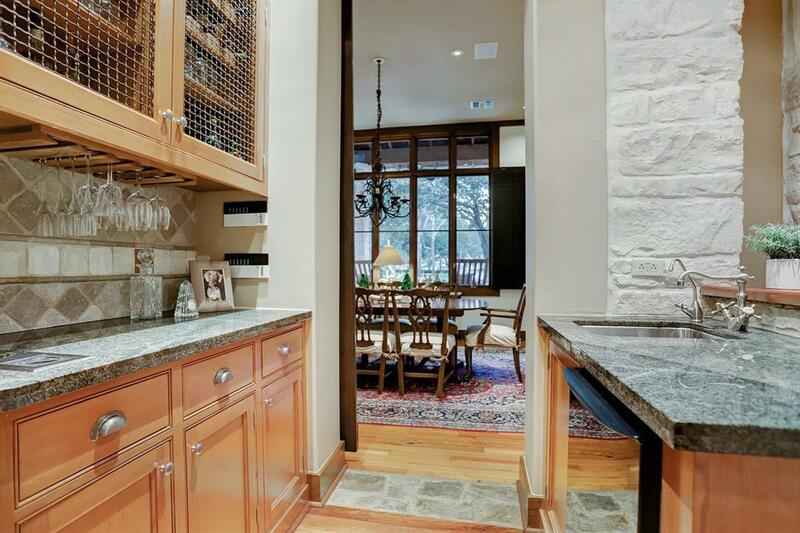 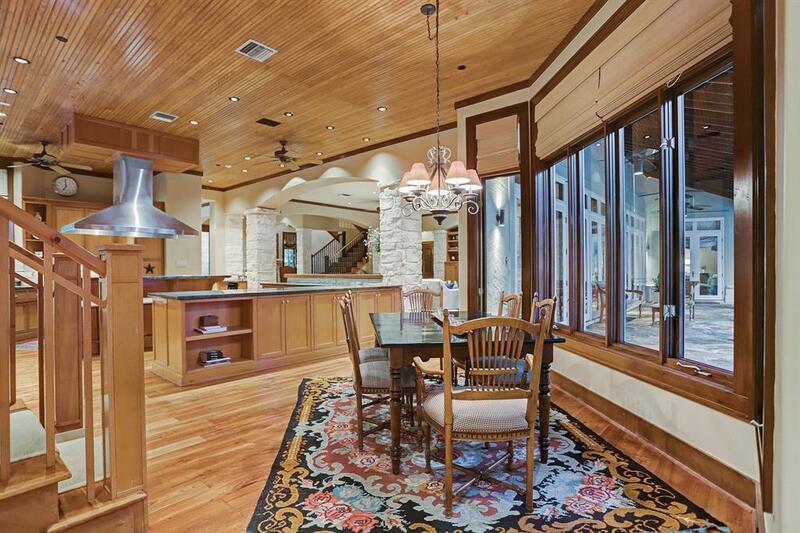 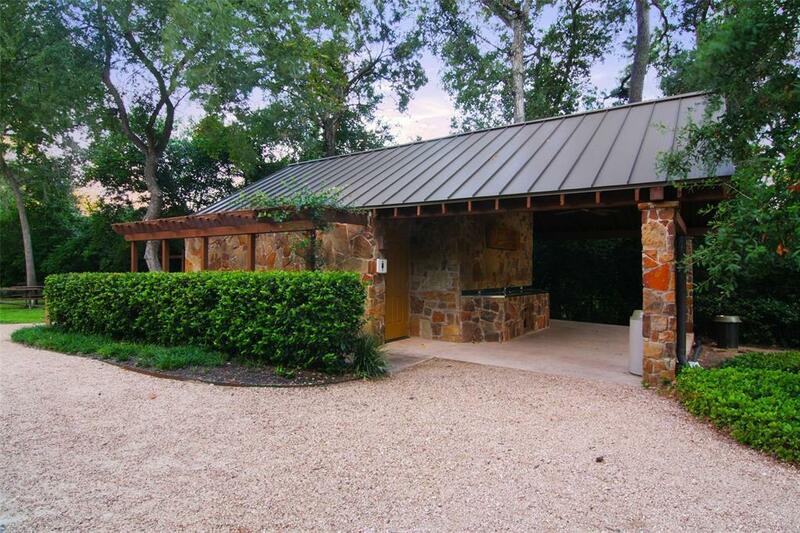 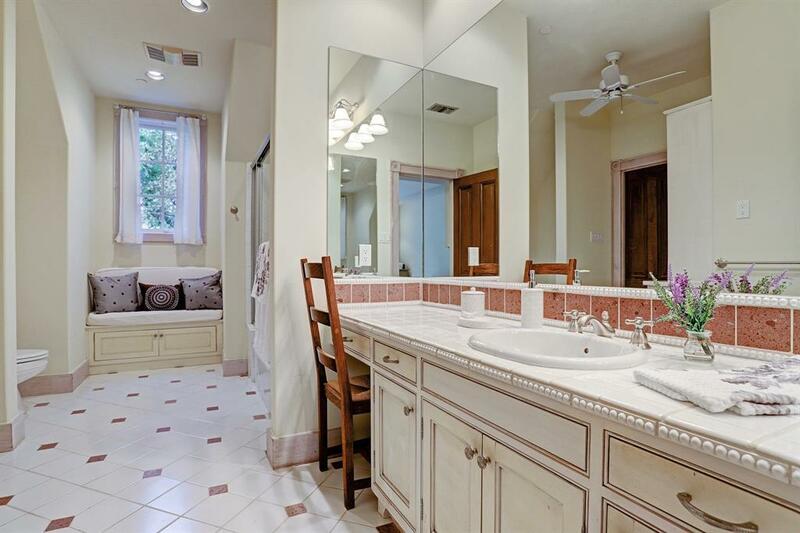 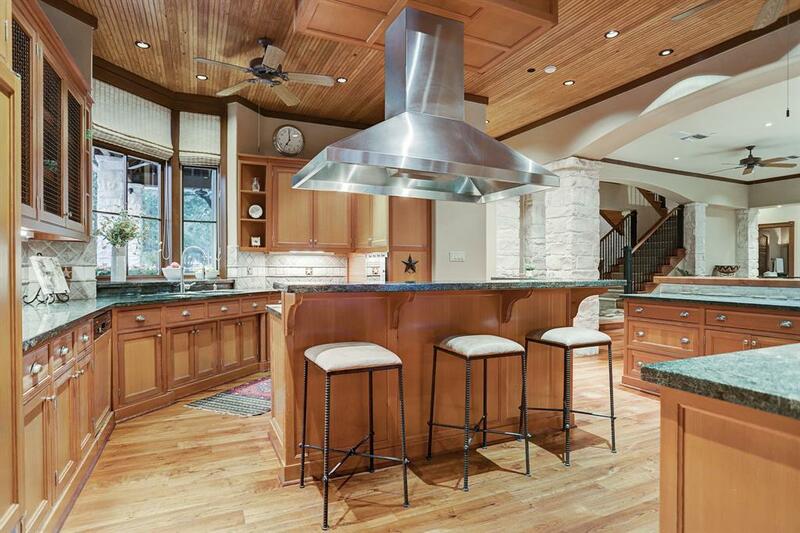 Texas Hill Country inspired style, with Arts and Crafts architectural elements. 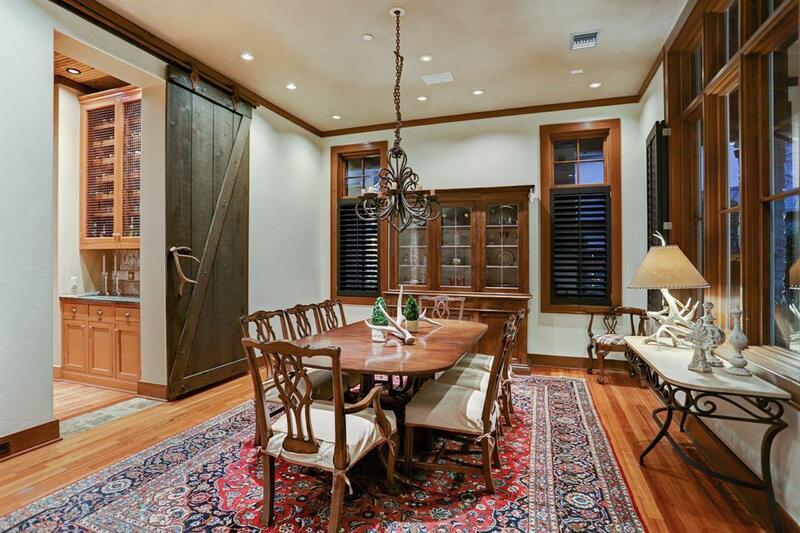 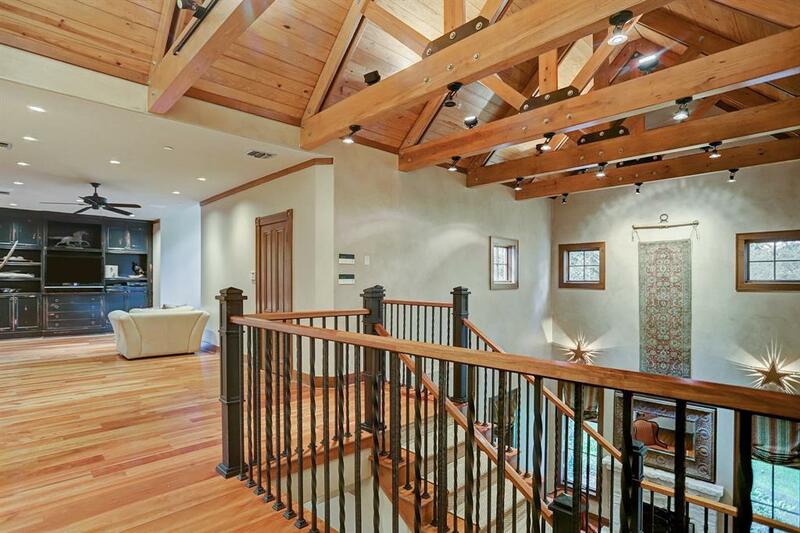 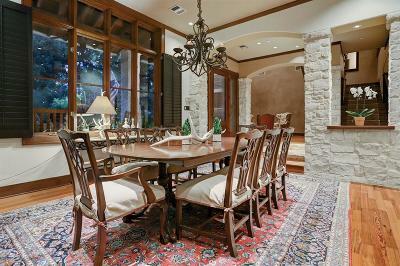 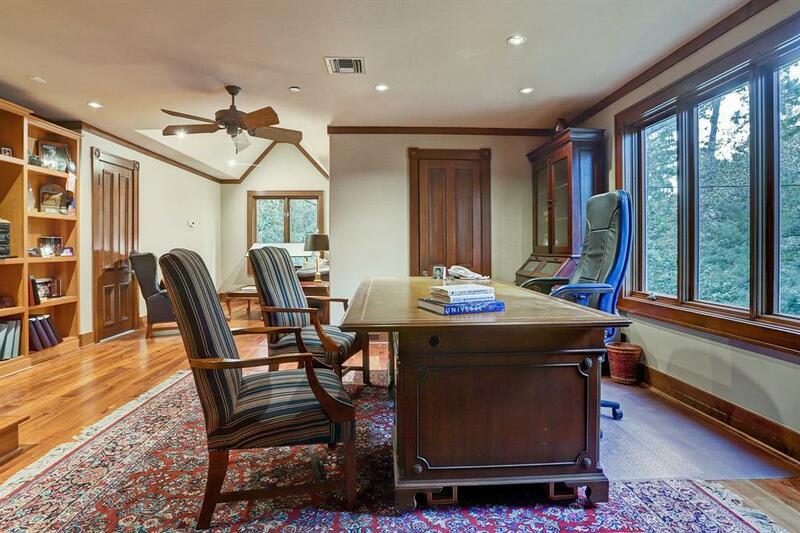 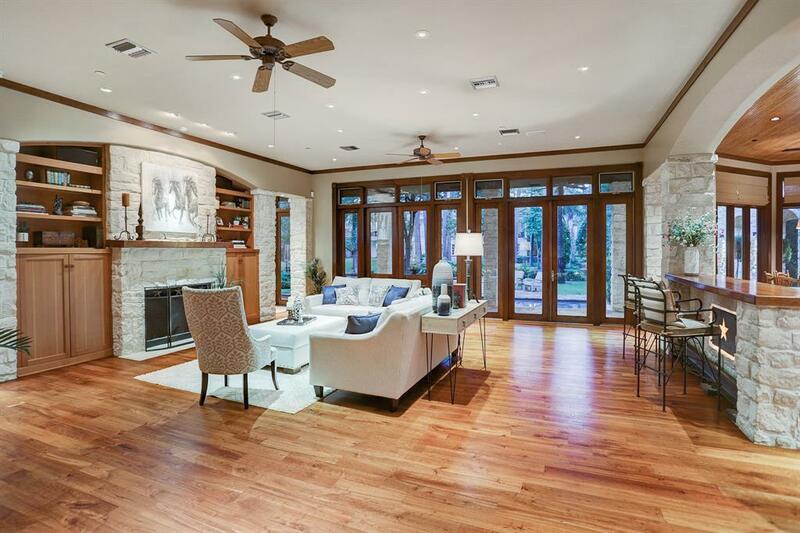 Stone exterior accents, reclaimed wood floors from the Texas State Capitol, vaulted ceilings with reclaimed wood beams. 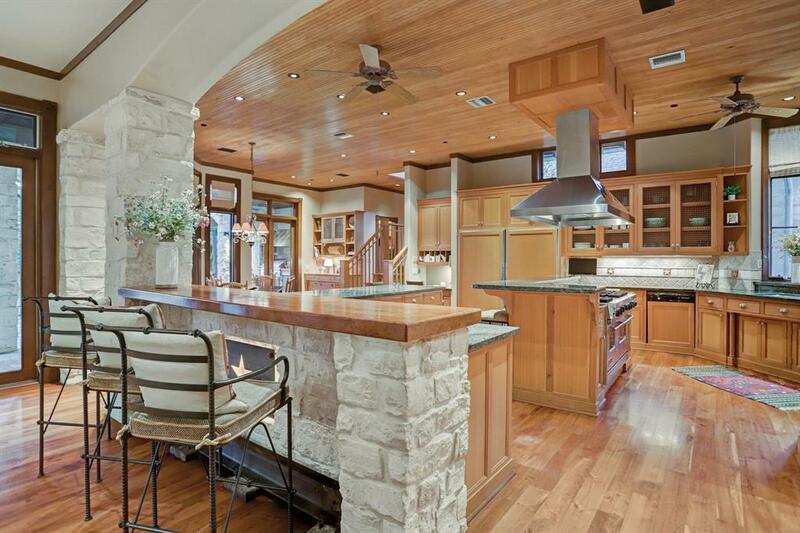 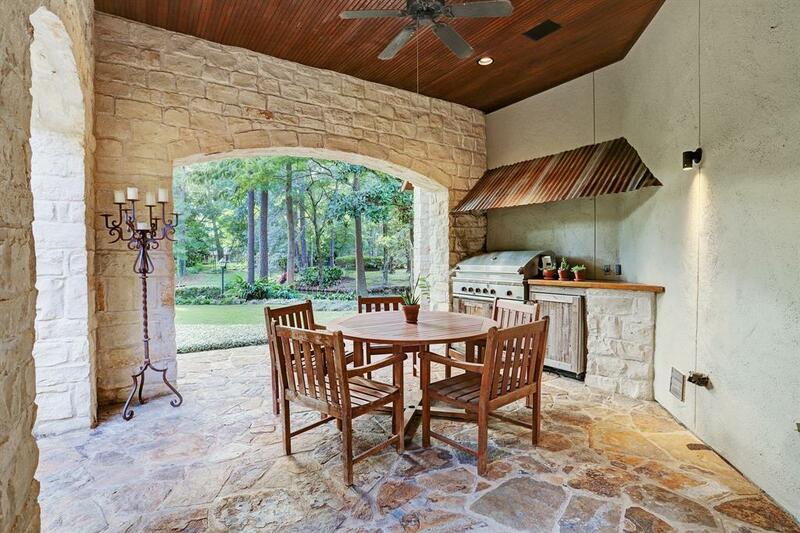 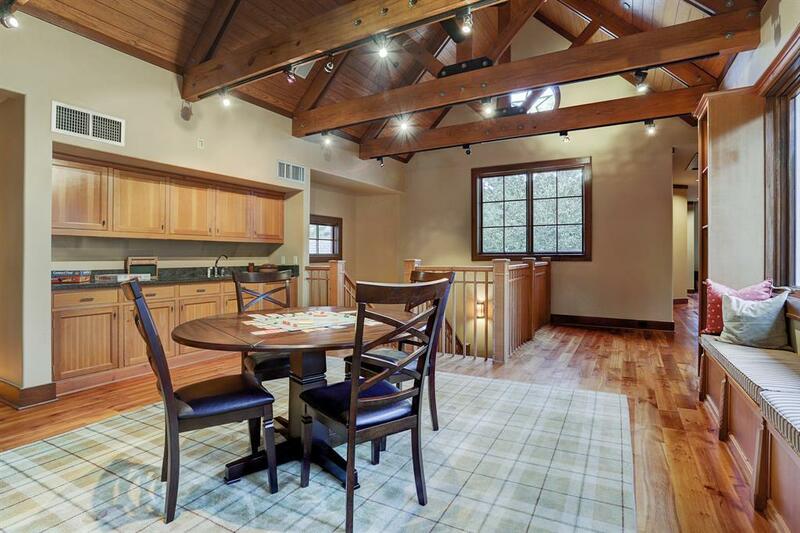 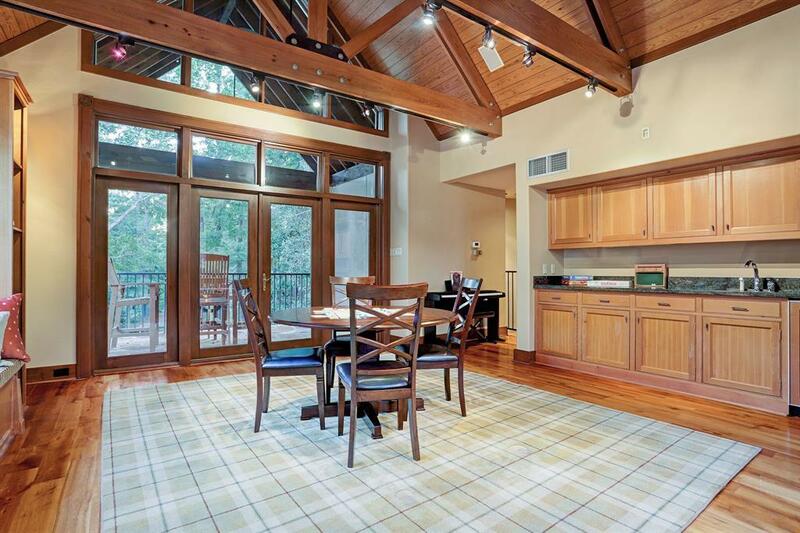 Open-living floor plan with gathering kitchen/breakfast room overlooking the lake. 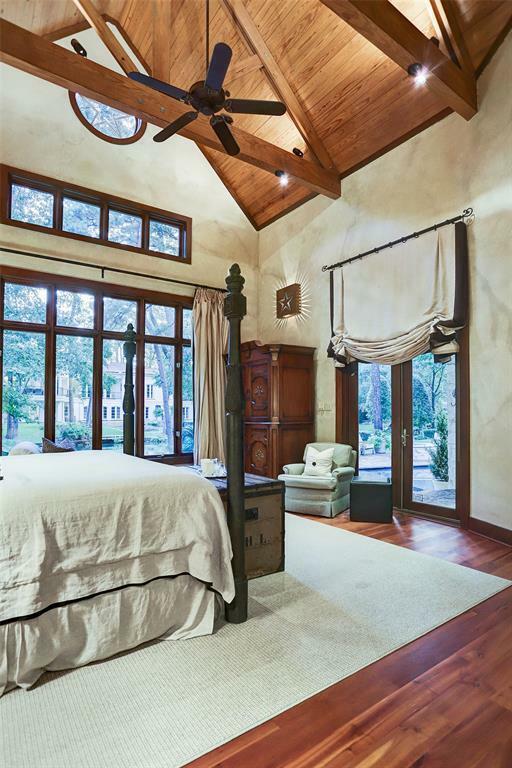 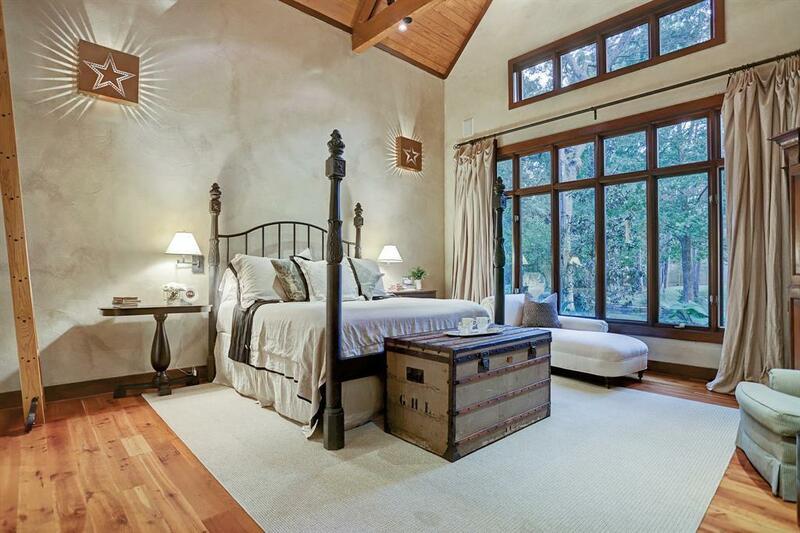 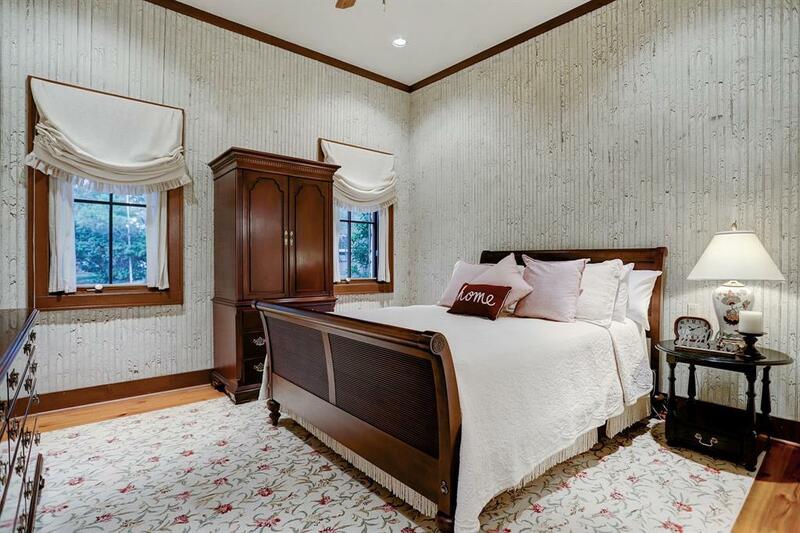 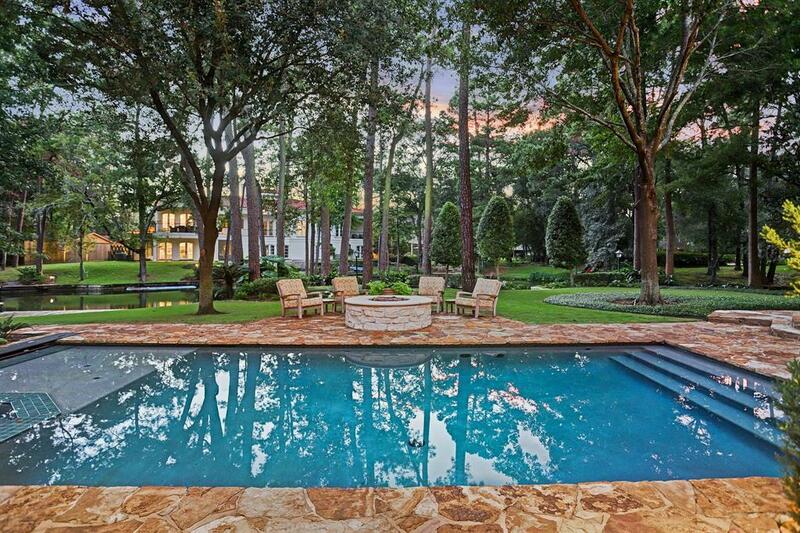 Secluded master suite down with vestibule entry and glass doors to the loggia and pool. 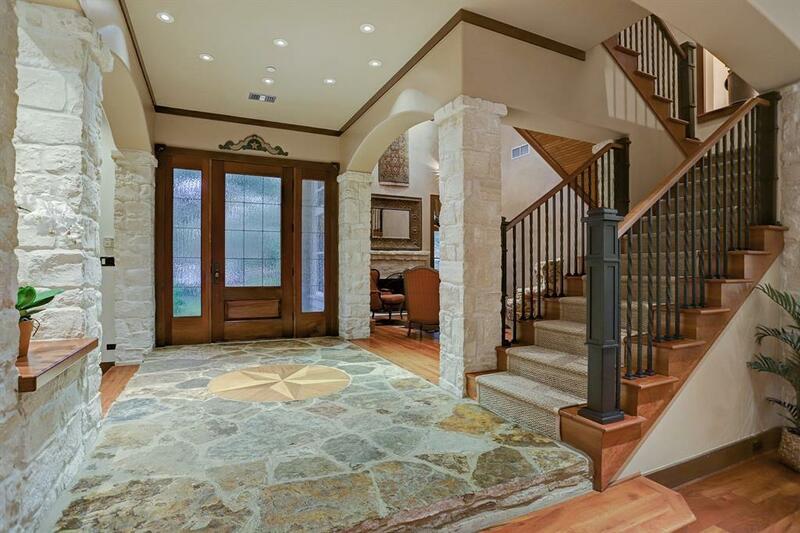 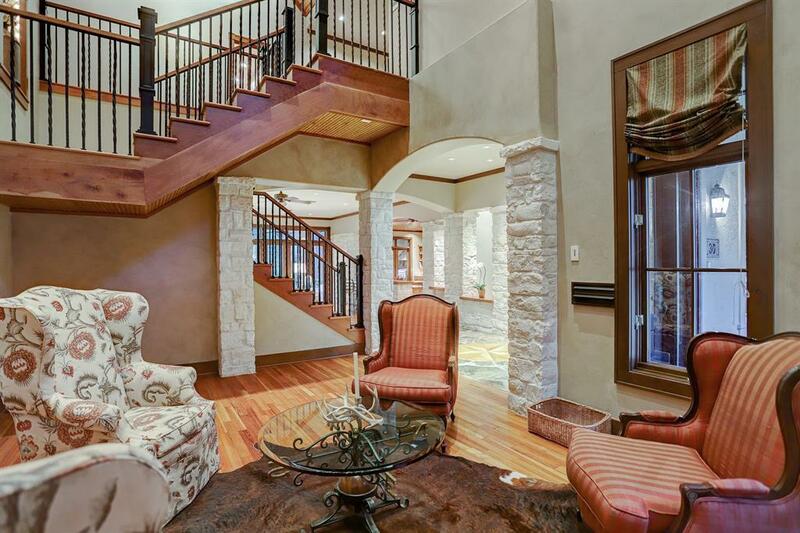 The main staircase transitions upstairs to the open den, additional bedrooms, game room, and study. 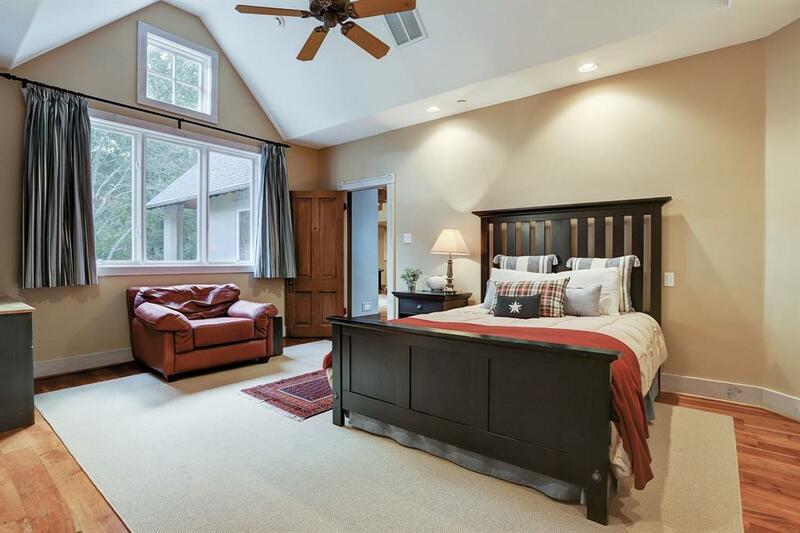 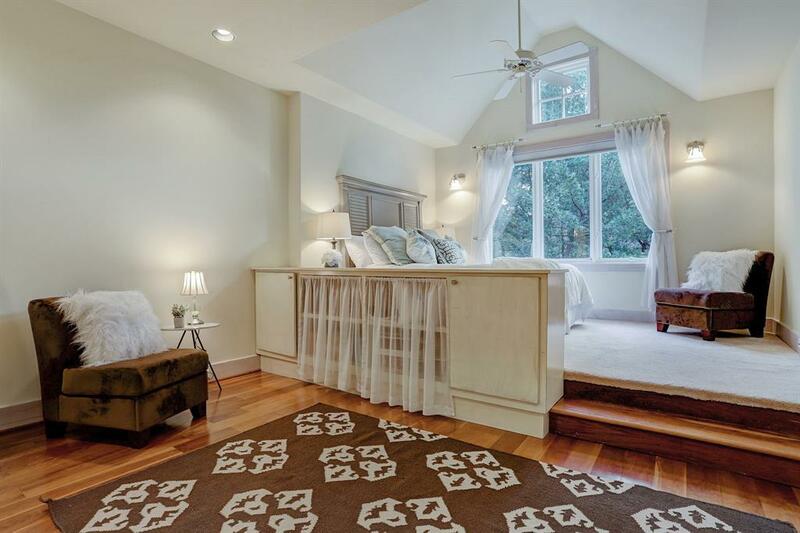 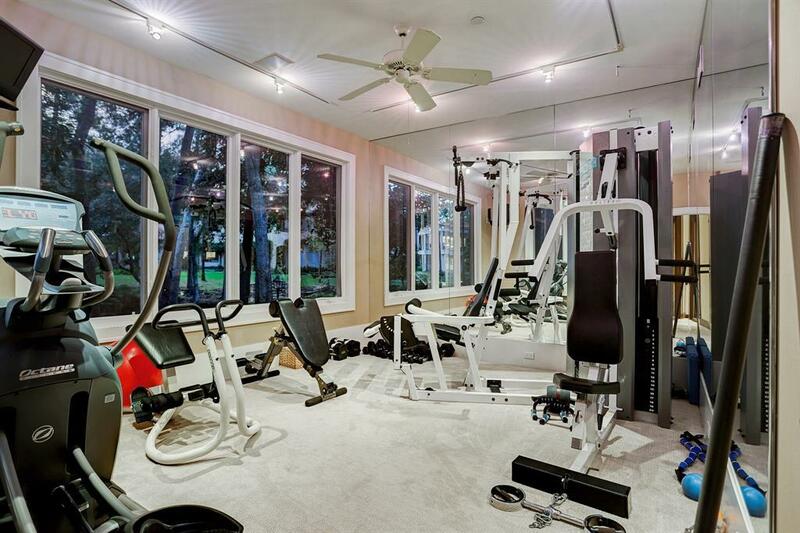 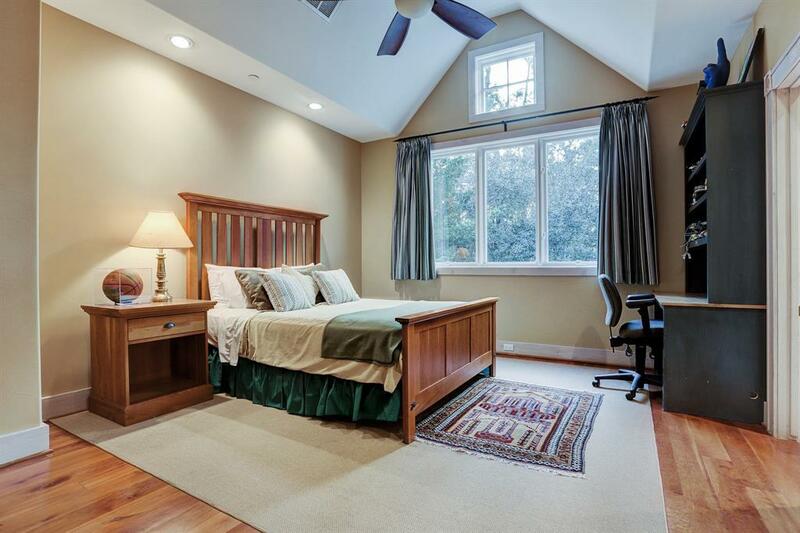 In addition to the exercise room, there is a guest bedroom with full bath on the first floor. 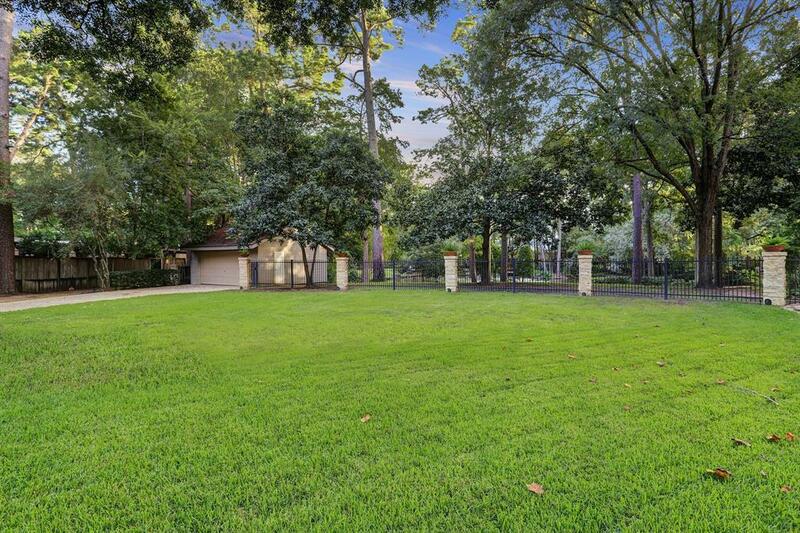 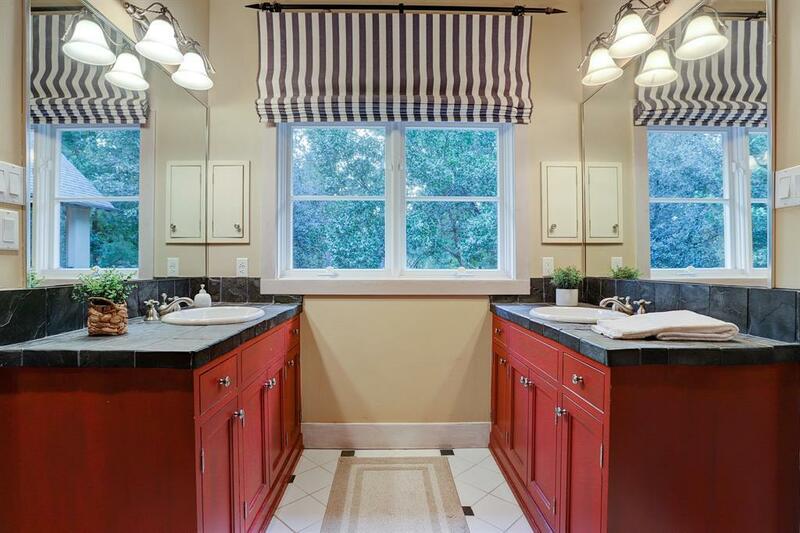 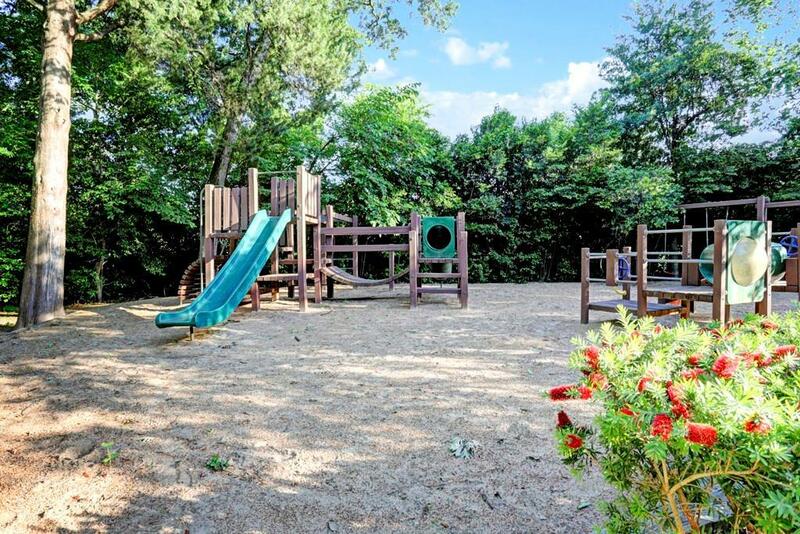 Sandalwood neighborhood amenities are for the exclusive use by residents and include three lakes, the wooded park, party pavilion, large playground, and lighted walking trails. 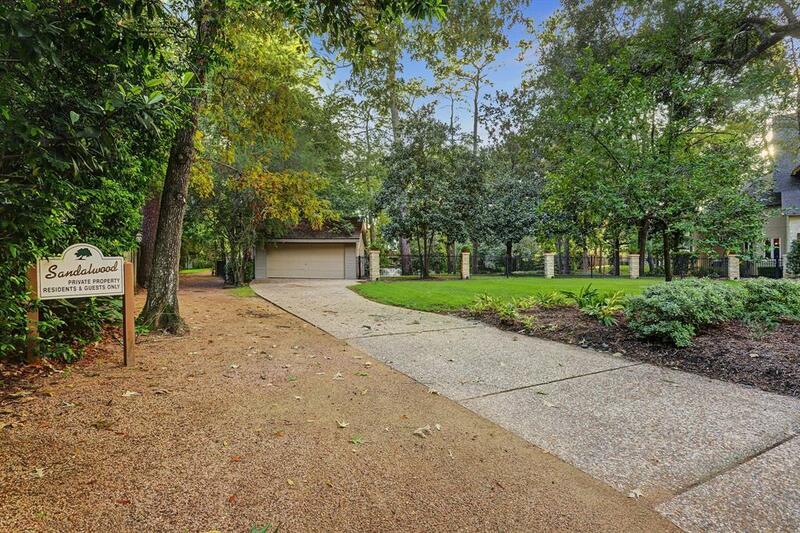 Lakefront Lot 15 next door available for separate purchase. 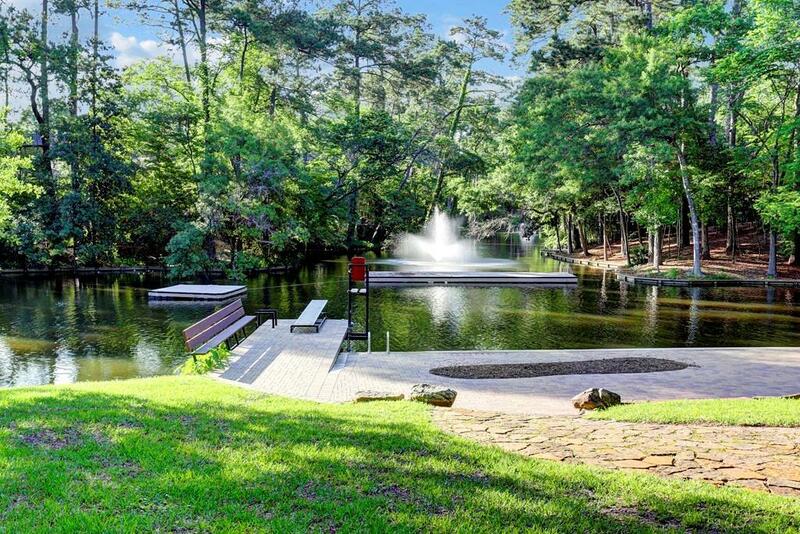 Directions: From I-10, South On Bunker Hill Road, West (Right) Onto Sandalwood Drive. 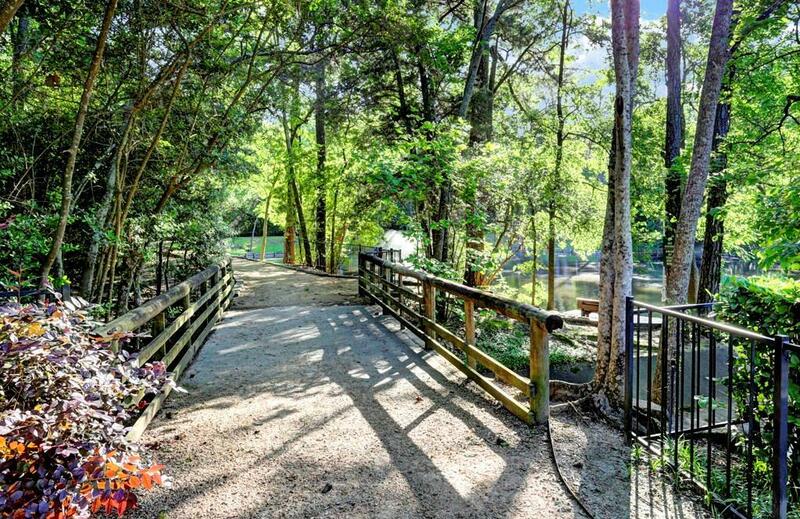 Just Past Knipp, Right On Robinlake Lane.